Your favorite photo becomes a sparkly glass necklace! Unique gift—from your picture of grandchildren, pets, or any special memory. 1) Email your image to sara (at) lovethatimage.com. 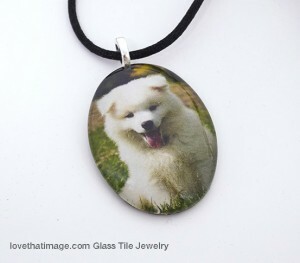 2) Within 2–3 days you’ll get an emailed mockup of your photo as a necklace in different shapes for you to choose from. 3) Send a check or your credit or debit card info (by email or phone for more security). WA residents add sales tax. 4) Your unique necklace(s) with silver loop on a long black satin cord will be ready in a week or less! Add $6 for Priority shipping. “Ordering my custom pendant was so easy. 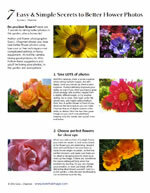 I just emailed my photo to Sara and within a day she had emailed back several designs that I could choose from!” M.S.